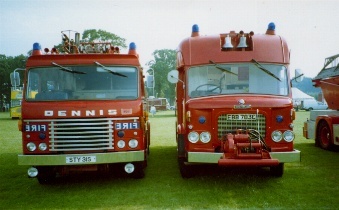 STY31S and EBB783C were Foxtrot's 1 and 4, at the Fossway Fire Station (Newcastle East) for many years. 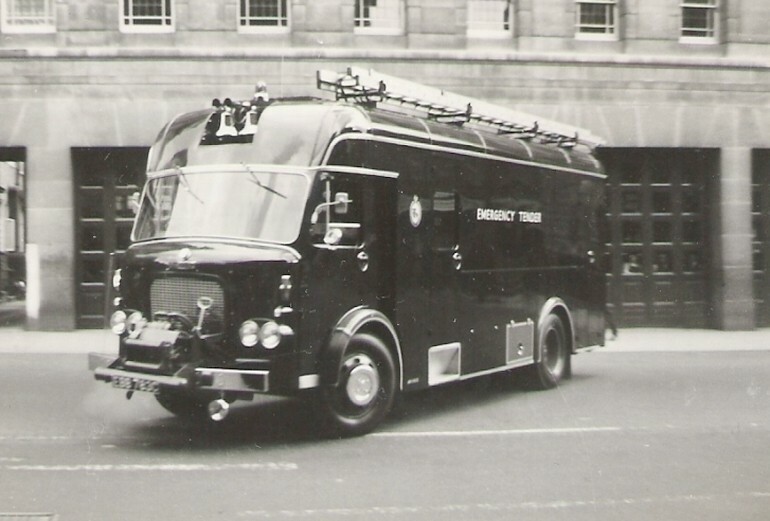 Category 4 appliances are Heavy Emergency Tenders and EBB783C was supplied originally to Newcastle and Gateshead Fire Brigade in 1965. The original colour scheme was dark chocolate maroon with bright red lockers and silver coach lining. 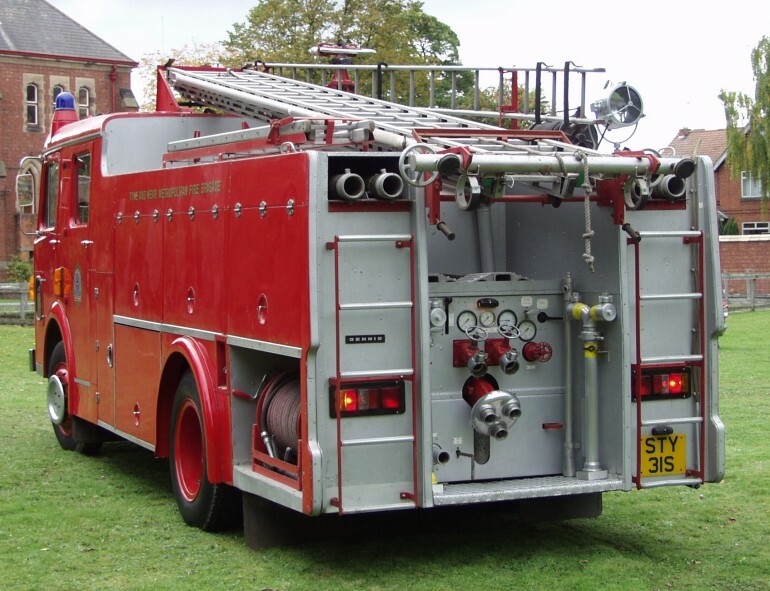 In 1974 it joined the fleet of the newly formed Tyne and Wear Metropolitan Fire Brigade and changed colour to the standard 'Fire Engine Red'. It is fitted with a ten ton hydraulic winch and a 7.5KW generator. The engine is an AEC AV470 coupled to a 'chinese pattern' Dennis gearbox. 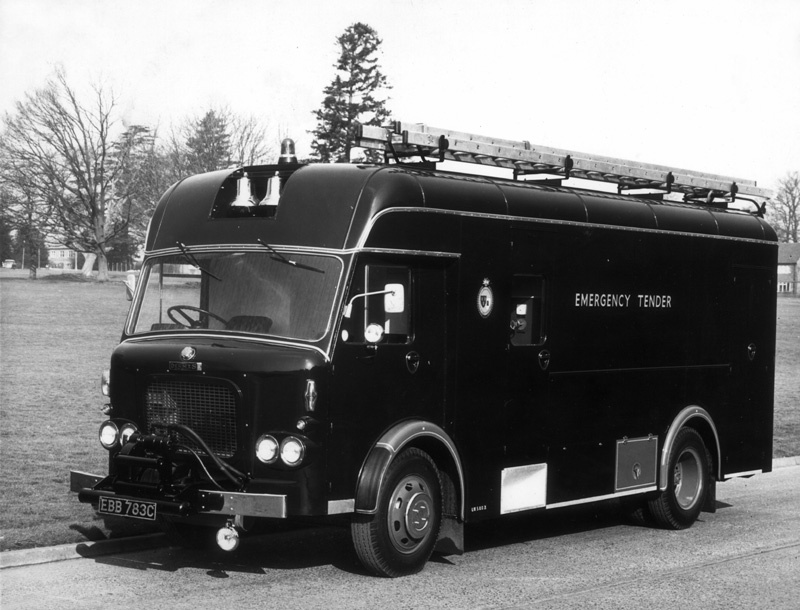 This ET was taken off the run in 1984 to be replaced by the Shelvoke Emergency Tender ETN909W. 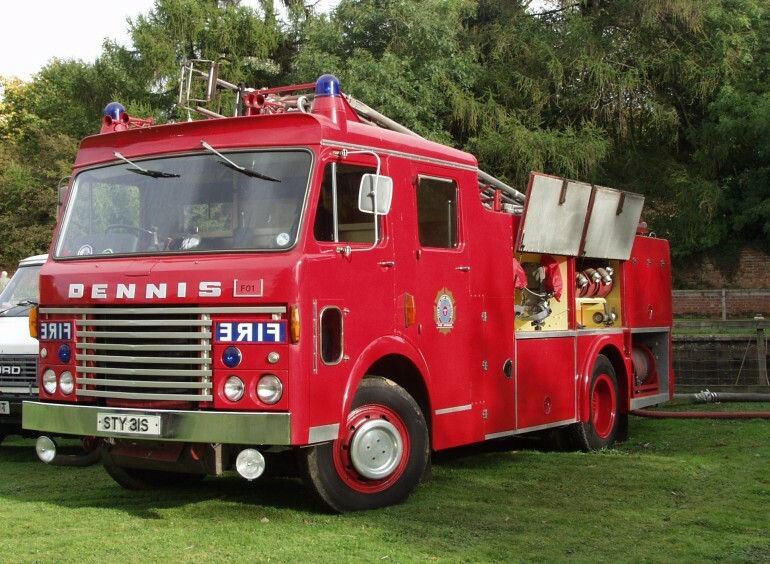 STY31S is a Dennis F131 Water Tender. 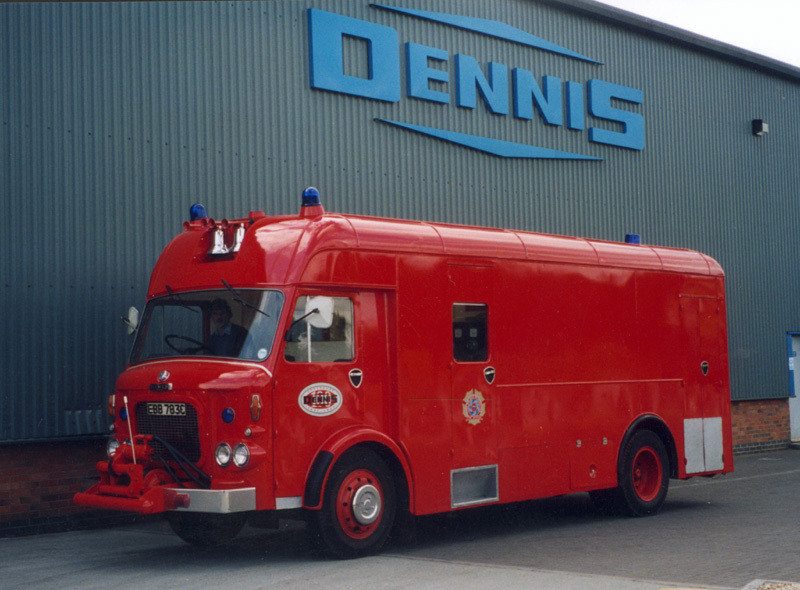 During the 1970's all of Tyne and Wears pumping appliances were machines of this type before the phasing in of RS Dennis's during the 1980's. In the above picture the roof mounted monitor can clearly be seen.